The James Beard Foundation announced nominations for their 2015 awards -- widely considered the Oscars of the food world -- and Minnesota is well-represented across the board. 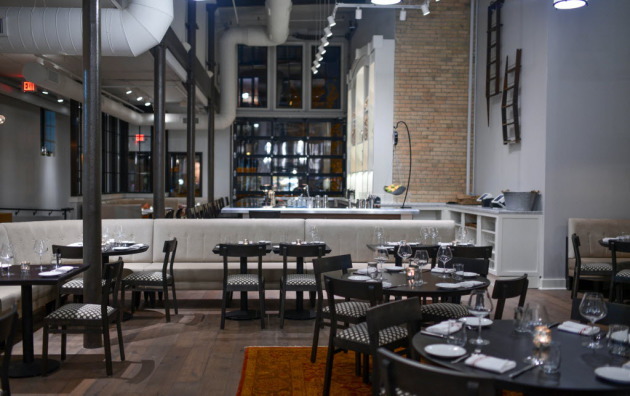 Four-month-old Spoon and Stable (pictured, above) was nominated for Best New Restaurant. It’s the first time a Minnesota restaurant has been nominated in the national category. The restaurant, led by chef Gavin Kaysen (a Beard winner in 2008 for Rising Star Chef of the Year, bestowed upon chefs "age 30 or younger who is likely to make a significant impact on the industry in years to come"), is competing with Bâtard and Cosme in New York City, Central Provisions in Portland, Me., Parachute in Chicago, Petit Trois in Los Angeles and the Progress in San Francisco. The North Loop newcomer has another Minnesota first: A Beard nomination for Outstanding Restaurant Design. Shea Inc. of Minneapolis was nominated in the 76 Seats and Over category for its work, a conversion of 1906 stable. It is the firm’s first Beard nomination. Other nominees in the category include the Grey in Savannah, Ga., designed by Parts and Labor Design in New York City, and Workshop Kitchen + Bar in Palm Springs, Calif., designed by SOMA of New York City. “It’s a good way to start a morning,” said Kaysen with a laugh. Kaysen was alone at home – his wife Linda was taking their children to school – and going through the motions of making breakfast while watching the announcement as it rolled through the Beard Foundation’s Twitter feed. Three Minnesotans are nominees in the Best Chef: Midwest category: Paul Berglund of the Bachelor Farmer, Michelle Gayer of the Salty Tart and Lenny Russo of Heartland Restaurant. They’re competing with Gerard Craft of Niche in St. Louis and Justin Carlisle of Ardent in Milwaukee. Russo is a five-time nominee in the category, and this is Gayer’s third consecutive nomination (along with two previous nominations in the Outstanding Pastry Chef category). This is Berglund’s second nomination. 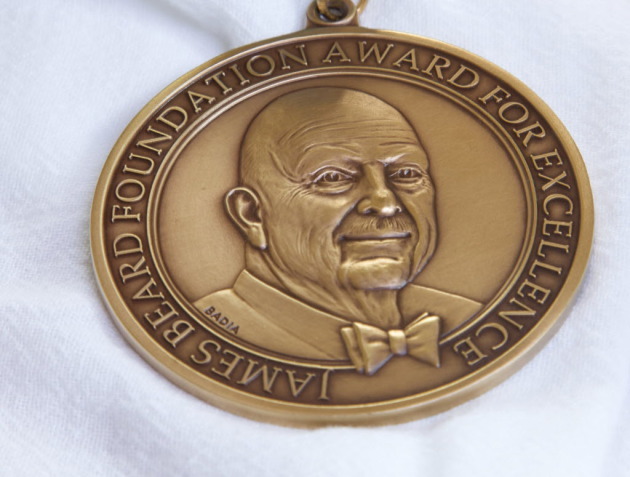 For its 10 regional chef awards -- given to those "who have set new or consistent standards of excellence in their respective regions" -- the James Beard Foundation divides the country into 10 geographic regions. The Midwest region includes Minnesota, Wisconsin, Iowa, Missouri, North Dakota, South Dakota, Nebraska and Kansas. Restaurant and chef awards will be announced at a gala program at the Chicago Lyric Opera on May 4. It's the first time in the awards' 25-year history that they are taking place outside New York City. Media winners will be announced in New York City on April 24.